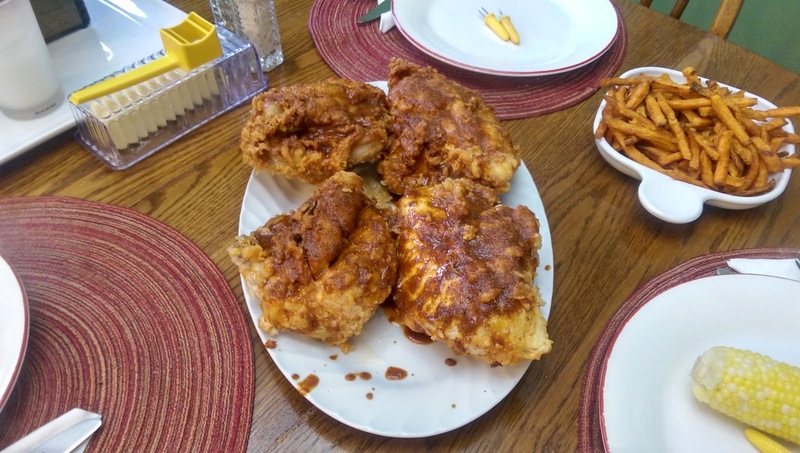 Nashville is famous for hot chicken, so I gave a run at it. Deep-fried, dipped and dredged chicken breasts basted with a cayenne pepper-based coating applied just before serving. Bring a big glass of water and don't touch your eyes 'til morning!